Your Sundays are always dull and boring? NOFX are about to change that! Along with some of their best friends they will get your sweet behinds off the sofa and into the mosh pit! 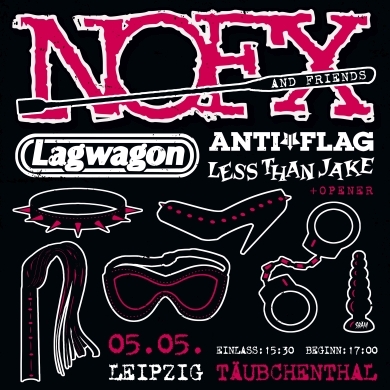 So Leipzig, prepare yourself for NOFX, Lagwagon, Anti Flag and Less Than Jake!! 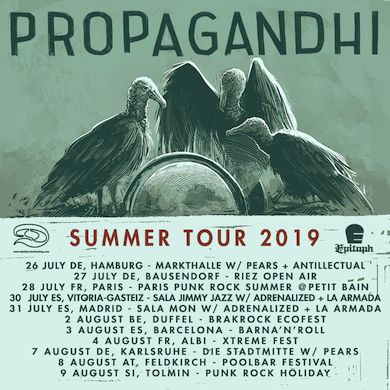 Propagandhi just announced their summer tour 2019!! 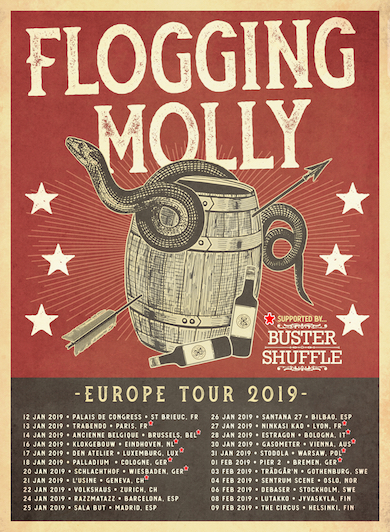 Our favourite Brits Buster Shuffle Official will support Flogging Molly for the most of January 2019 on their upcoming Tour!!! We know you will not want to miss this, so go ahead and pick your date! 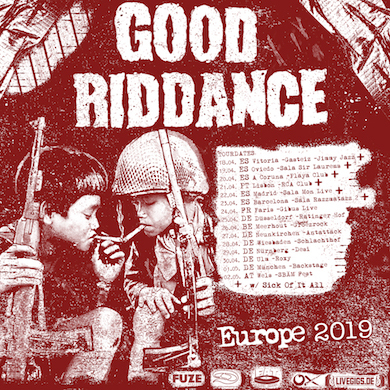 Next year's live music plans have just been made: Good Riddance will be back in spring on their Europe 2019 tour!! 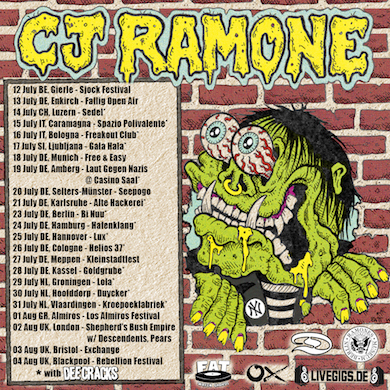 Say hi to the line up of next year's Punk In Drublic Fest Europe!!! 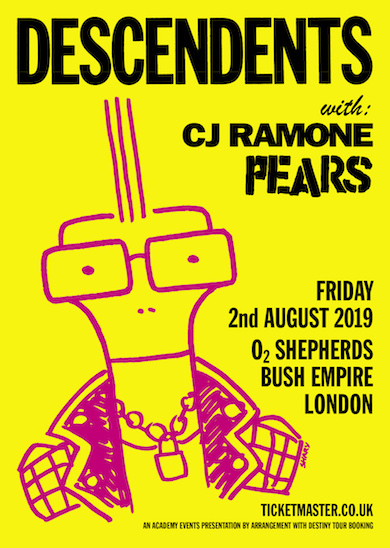 Our partners in crime will be no other than NOFX, Bad Religion, Lagwagon, Less Than Jake, Mad Caddies, Anti Flag, Millencolin, The Interrupters, The Real McKenzies, The Lillingtons, GET DEAD and The Bombpops!!! 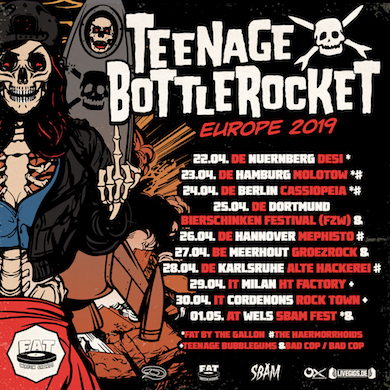 Even though our pop-punk friends from Teenage Bottlerocket aren't so teenage anymore they for sure still know how to party! The coolest girl gang in town are back!!! 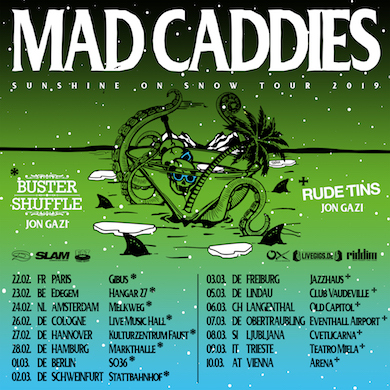 The lovely Mad Caddies will bring us some 'Sunshine On Snow' in 2019 and even added our fantastic Buster Shuffle (UK), Rude Tins (CH) and Jon Gazi (VIR) to the party! !